Organic Gemini is a food & beverage company founded in Brooklyn, NYC. 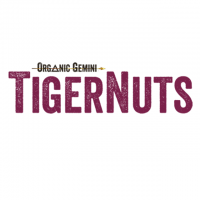 Our products feature the TigerNut, a highly nutritious root vegetable. An ancient super food which is loaded in iron, potassium and prebiotic fiber. At Organic Gemini we use only Organic and Non-GMO whole food ingredients to provide our customers with nutrient dense and simply delicious products that support a healthier diet for a healthier life.